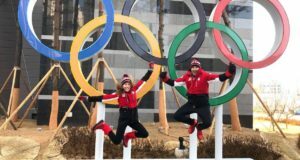 By Rachel Homan (Team Canada skip) Even though we didn’t like the end result, it was still amazing to be in the venue today for our first game at the Winter Olympics. By Kaitlyn Lawes and John Morris (Olympic mixed doubles curling champions) WHAT A NIGHT!!! We are still feeling the excitement after an amazing game tonight against Switzerland. 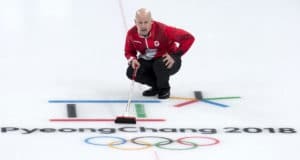 By Jeff Stoughton (Team Canada mixed doubles coach) We knew today’s semifinal against a really good Norway team wasn’t going to be easy, so nobody should be surprised that it was a grind. By Kaitlyn Lawes (Team Canada mixed doubles player) We’ve had a great round robin, and now we’re getting ready for the playoffs. By Jeff Stoughton (Team Canada mixed doubles coach) That game was phenomenal. I mean, right from the first rock — perfect draws, perfect taps, double-takeouts, a couple in-offs. Kaitlyn and John were clicking on all cylinders, that’s for sure. By John Morris (Team Canada mixed doubles player) After each game, we have go through a lot of media questions. First, we talk to Colleen Jones and Devin Heroux with CBC, and then we go through another room of TV cameras for televisions networks from other parts of the world. By Kaitlyn Lawes (Team Canada mixed doubles player) Today was a great day, for a lot of reasons. 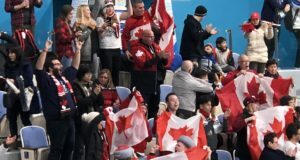 By Jeff Stoughton (Team Canada mixed doubles coach) OK, now it’s really hit me that I’m at the Olympics with Team Canada. By John Morris (Team Canada mixed doubles player) This was an interesting day in a lot of ways, but it sure ended nice with the win over the U.S. That was a tough game to play because Becca and Matt Hamilton are really good friends of ours, but it was definitely important to win it after the loss this morning. 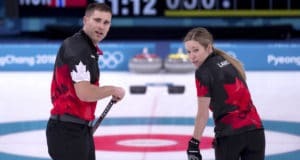 By Kaitlyn Lawes (Team Canada mixed doubles player) We all knew the first Olympic mixed doubles competition wasn’t going to be easy. Yes, we’re disappointed to lose this morning against Norway, but they really played great. By Jeff Stoughton (Team Canada mixed doubles coach) We just finished our first practice session here in Gangneung, but it still really hasn’t hit me yet that I’m at the Winter Olympics. 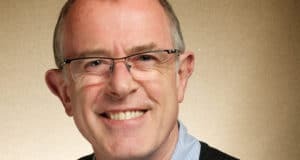 You won’t find David Beesley’s name in any newspaper articles or see him interviewed on television about his role in curling.